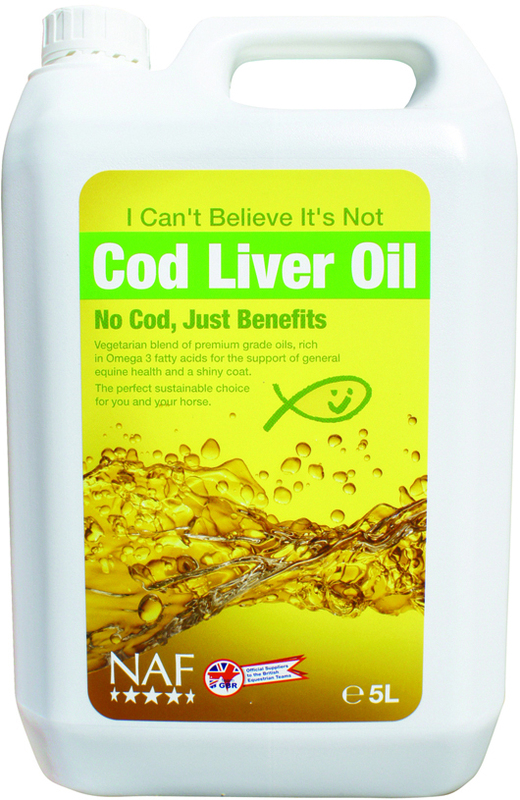 NAF Cod Liver Oil Plus is completely natural & contains high levels of Vitamins A & D, as well as Omega-3 Fatty acids & linoleic acid (an Omega 3 essential fatty acid). It can give your horse's coat a lovely shine & improve joint suppleness. Feeding Instructions- Give 1-3 tablespoons (15-45mls) daily 1 litre will last up to 66 days (based on 15mls daily) 2 litres will last up to 133 days (based on 15mls daily) 5 litres will last up to 333 days (based on 15mls daily) NAF is part of the BETA NOPS scheme.